Walking around Vejer de la Frontera (Spain) is travelling back to the past. This white village lies on the top of a hill surrounded by pine trees. White washed houses with its Arab-Andalusian architecture, cobbled streets, and secret corners are the main features of Vejer. You can see in some of the houses the typical Andalusian patio community that is share between the neighbours. Many patios have a disused dwell and a lot of lovely flowerpots. My first creative appointment leads me to Carmen Sánchez´ house. This lady from Madrid has moved to Vejer a long time ago looking for peace and quiet. She has two looms in the ground floor, where there are all the resources she needs to create her artisanal products. We start setting up the loom, this process takes time and you need to be patient because you have to insert the warp into each of the slots. Once this process is done, we secure the back beam on the loom with string loops. 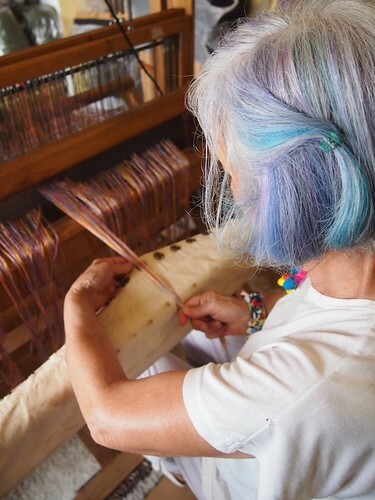 Using the weaving stick on the loom, you can practise different techniques obtaining the patterns for you design. This is the part where you develop you creativity. Carmen sells her products in a coquette shop El Telar de Vejer, located opposite to the church in Vejer. 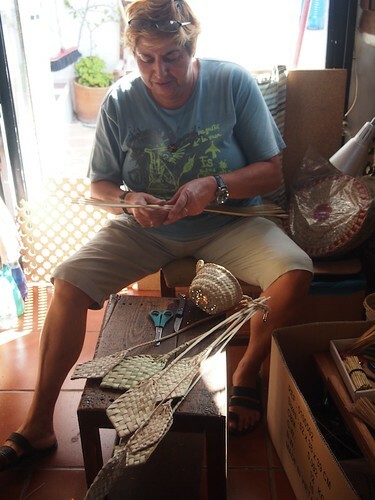 My second meeting takes me to Trafalgar street, where is placed Cesteria Juani Marchán, an artisanal basketry and craft shop owned by Juani. This craft lady works with local palm and wicker like no other. Her shop is small but there are many objects that catch the eye of locals and tourists. At the back shop, Juani keeps working her artisanal products at the same time that she deals with the clients. She shows me basic techniques to make a basket. First you place 5 reeds parallel to each other, then you interweave with the other 5. Juani only uses her hands, wicker or palm and knife to make baskets, hats, bags and brooms. Here is a video about this trip. 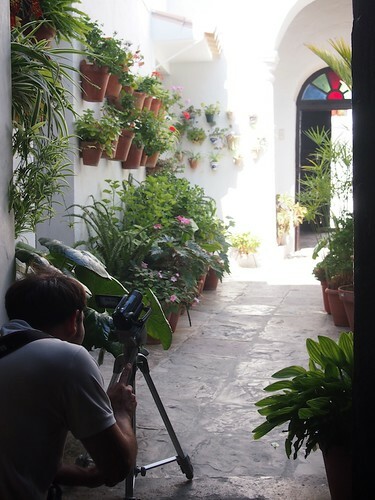 This entry was posted in Travel Posts and tagged #Andalucia, #Cadiz, #Spain, @Vejer, Creative Tourism by Maximo Perez. Bookmark the permalink.